It is crucial that your Rhode Island Truck accident Attorney is up to speed on all Federal Motor Carrier Safety Regulations (FMCSRs). If trucking companies strictly comply with these important regulations than the amount of tractor trailer crashes in RI and across the County will be lowered. If the operator of the big rig or his trucking company violates these rules and the violation caused or contributed to the truck wreck then you may be entitled to damages for your injuries. 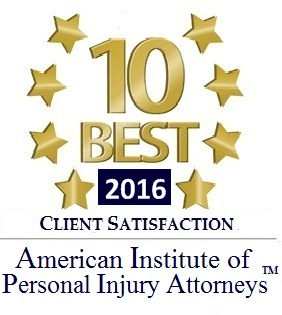 If you or someone in your family is injured in a truck accident in Rhode Island then it is imperative that you seek out a personal injury attorney in the Providence RI Area. 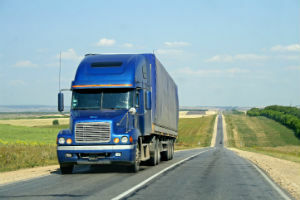 It is very common for those liable for an 18 wheeler crash to deny liability or attempt to place blame on another party. There could be numerous parties liable for the truck collision including the driver, his employer or a mechanic who negligently repaired the semi-truck. It is easy to forget that not all trucking accidents involve your traditional Semi truck crash. The field of Truck accident litigation also includes smaller trucks such as: flatbeds, tow trucks, garbage trucks, pickup trucks, dump trucks and concrete trucks. A good trucking collision Lawyer will at a minimum investigate the collision. The investigation should include obtaining documentation and reviewing: police reports, medical records, logs and evidence concerning the accident. 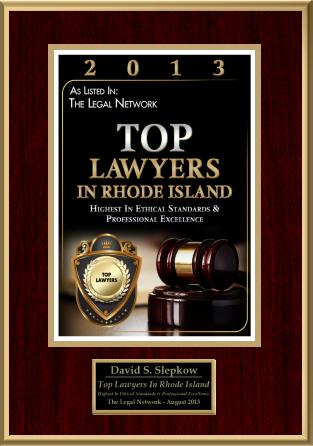 A good Rhode Island Personal Injury Lawyer may retain a highly experienced trucking accident Reconstructionist. It is crucial that your trucking negligence lawyers are experienced in the intricacies of semi accident litigation in Providence, Washington, Kent or Newport Superior Court. The Insurance Company may immediately send investigators to the scene of the mishap, in an attempt to mitigate or deny liability. These companies will take pictures of the scene of the wreck, collect evidence, examine the damaged 18 Wheeler, examine damage to cars or motor vehicles involved in the accident and interview witnesses. It is crucial that you get a RI Truck Accident Attorney on your side working for you as soon as possible to counteract the Liability Carriers’ efforts. Who can be held Liable for a truck accident in RI? There are dozens of different types of entities or persons who can be at fault for an 18 wheeler and car accident. This specifically includes the owner, operator, employees who all could all be negligent as a result of a crash. What type of records may pertain to establishing liability for the collision? What types of Injury are sustained in a truck accident? There are hundreds of different types of injuries sustained from an 18 wheeler- auto accident including, burn injuries, concussion, paralysis, head injury, spinal cord injuries, fractured or broken bones. What are the common types of negligence for Semi Truck Accidents in RI? -Drowsy/ sleepy driving- Information may be obtained that a trucker did not get federally mandated rest and did not follow the hours of service rules set forth in the federal regulations. 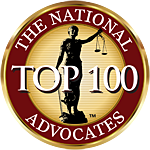 Sadly many tractor trailer accidents are deadly resulting in Wrongful death litigation. If a truck crash is fatal, it is important that the spouse or children of the deceased retain an experienced Rhode Island Wrongful Death Lawyer. If someone is killed in a crash in RI, only the executor of the estate of the deceased can bring an action on behalf of the statutory beneficiaries. Damages for a fatal motor vehicle, car accident or trucking wreck are not assets of the estate of the decedent. A Truck hitting a bike, motorcycle, bicycle or hitting a pedestrian is far more likely to be deadly than a motor vehicle collision with a truck. if a pedestrian was injured or killed by a truck, it is important to get an injury lawyer with Pedestrian accident experience. A person injured in a truck accident may be entitled to lost wages, pain and suffering, medical bills, permanency as well as other damages.